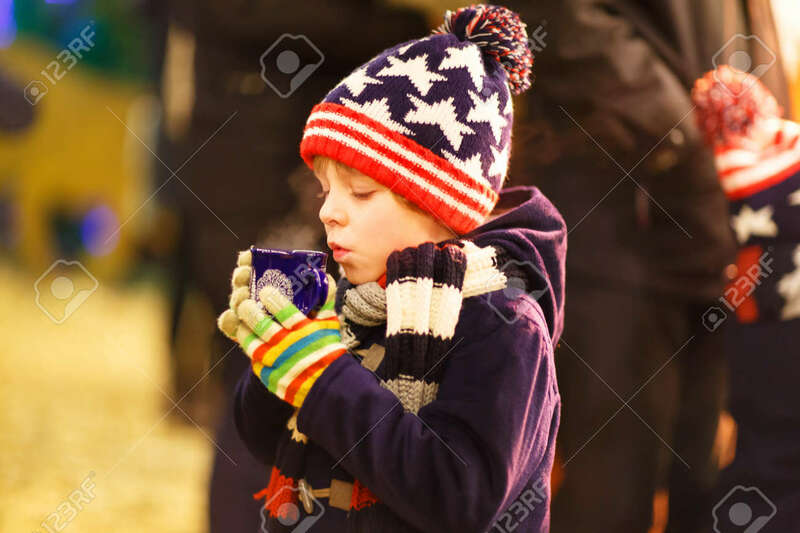 Little Cute Kid Boy With Cup Of Steaming Hot Chocolate Or Children Punch. Happy Child On Christmas Market In Germany. Traditional Leisure For Families On Xmas Royalty Free Fotografie A Reklamní Fotografie. Image 64888453.